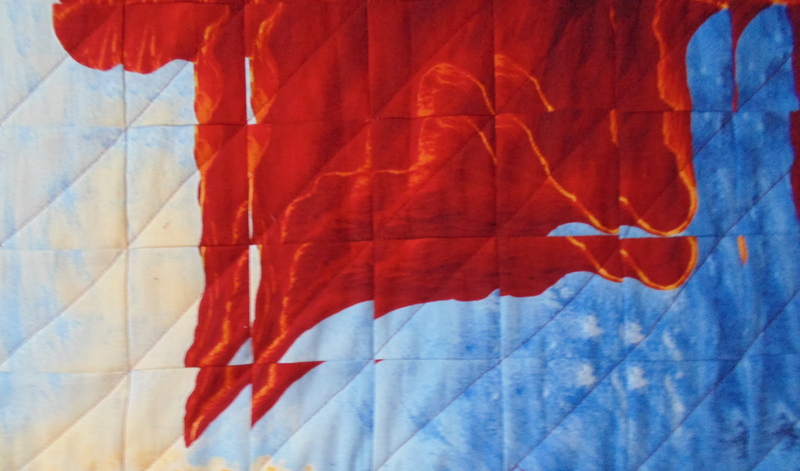 While it would be lovely to have a longarm to quilt every quilt, quilting a quilt of the size Quilts Beyond Borders normally delivers to needy children and orphans is entirely possible using your regular sewing machine. With a little planning and practice, you will enjoy the possibilities of quilting with your own sewing machine. If you have an even feed mechanism or a “walking foot”, it will help greatly in preventing puckers and bunching. If you don’t, quilting in small segments of 12-15” square allows you to better control the layers. Okay! You are layered, smooth, pinned and pretty excited to get at the sewing machine. I like to start in the middle and work my way out to the edges, working out the puckers as I go. Stitch in the Ditch – requires a steady hand as you guide the stitches right into the seam line between patches or blocks. If you’re not that precise, another good ways to quilt utilizing the “ditch” as your guide is to use a serpentine stich and stitch a wiggly line across the seamline, or try another decorative stitch along the seam line. Outline Quilting, also known as “echo quilting” – guide the stitches around the block design or motif, usually 1/4” from the edge, see photo. Grid Quilting – this may be a diagonal format or vertical/lateral. Some machines are equipped with a grid guide. Otherwise the lines can be marked on the quilt with chalk, painters tape, or a sliver of hand soap. I’ve also used a ruler to gauge my way and I do like that method, see photo. Quilts for our kids in 3rd world countries need to be strong and durable enough to withstand the frequent washboard washings. 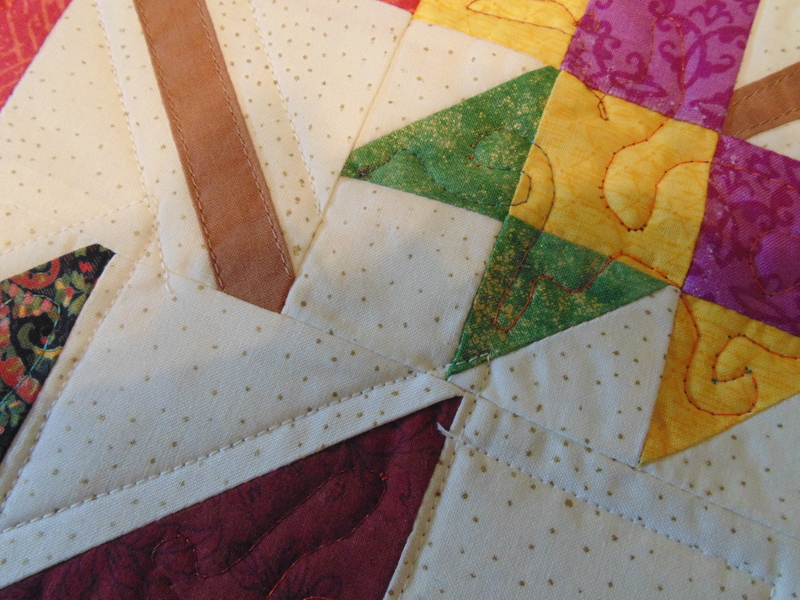 So please adhere to the 3” rule — quilting lines should be no more than 3” apart. For our orphan quilts, a polyester batting is recommended as it dries faster on the clothesline – many of the orphanages don’t have dryers. Also look for a polyester batting that isn’t too thick and puffy, because it is harder to quilt thicker puffy batting. We cannot send tied quilts as they do not hold up in the laundry. Please do not attach buttons or similar embellishment that might be ingested by a child. Have fun with your machine quilting and combine different techniques. You might find it the most interesting part of the process of creating the quilt! 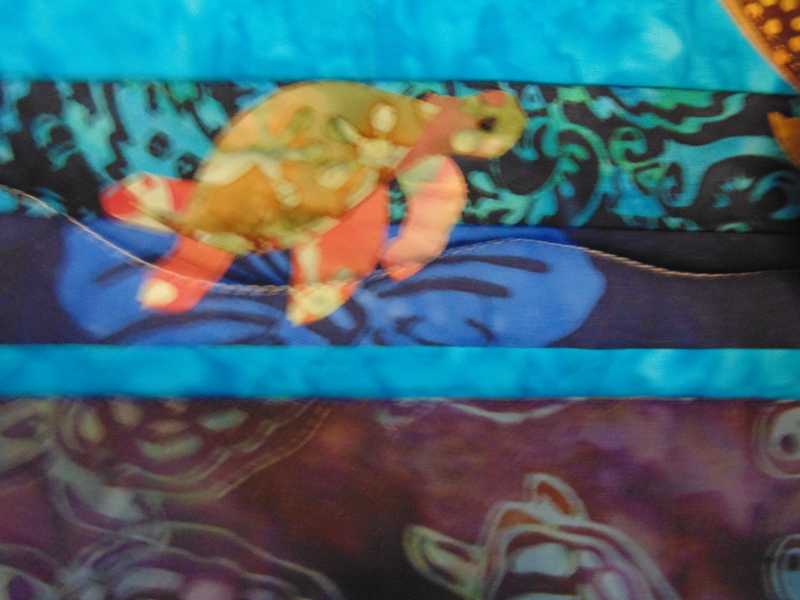 AND A GREAT TIP FROM DONNA SCIANDRA– Use a dark or printed back to hide any “wobblies” in your initial quilting. As you get more confident and better, you’ll be happy to display both front and back, but in the beginning, those dark and printed backs can hide a multitude of sins!